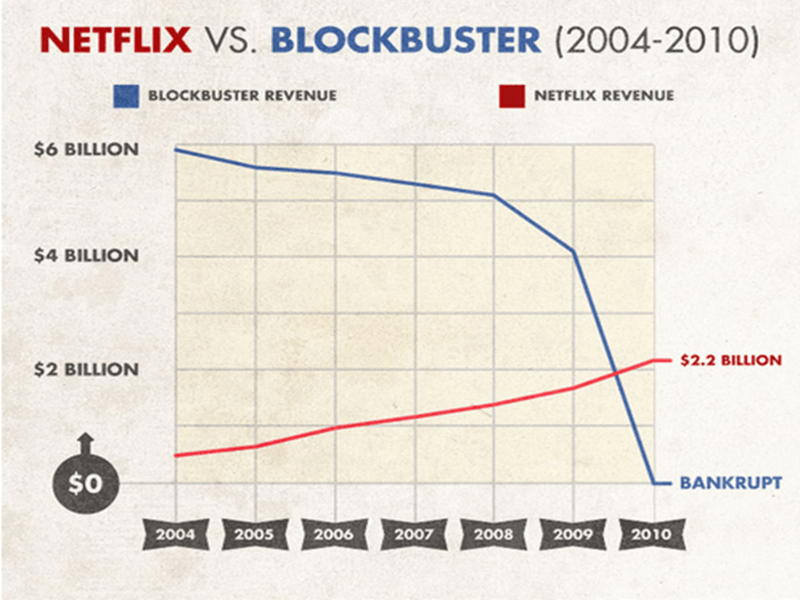 The fall of Blockbuster remains a classic example of digital disruption. Formerly a dominant player in the rental market, Blockbuster filed for bankruptcy in 2010. The trends the led to the big B's demise are also challenging the media ecosystem today. Will we see more blockbuster failures? 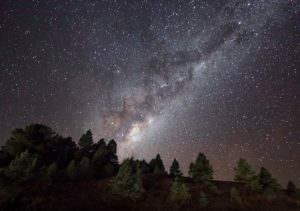 Will incumbents be able to adapt? Distribution: A major weakness of Blockbuster’s position in 2000 was its brick-and-mortar distribution system with 9,000 stores and 60,000 employees at its peak (1). The infrastructure investments, combined with management’s bias toward the historical success of the brick-and-mortar strategy, restricted Blockbuster’s ability to innovate effectively and quickly. Furthermore, Blockbuster CEO John Antioco and his successor Jim Keyes both failed to see the power of online distribution until it was too late (Antioco responded to the rise of Netflix by opening more stores and Keyes sought to buy a failing Circuit City). In fact, Reed Hastings, founder and CEO of Netflix, approached Antioco in 2000 seeking to sell Netflix for $50 mil, to which Antioco laughed and said no (2). It wasn’t until 2004, a full six years after Netflix launched, that Blockbuster established an online rental platform of its own. The success of brick-and-mortar stores gave Blockbuster a false confidence that, when combined with the size of the organization and lack of vision from leadership, made Blockbuster slow to adapt. Business Model: The cost of maintaining, staffing, and expanding their stores resulted in two main constraints: 1) costs did not scale well as each new market required heavy investment in a new location and 2) once a location was established, profits, albeit with high variable contribution, were tied with recouping the upfront capital investment. This caused a mismatch between the customer experience (e.g., low-friction rental and time to enjoy a VHS) and Blockbuster’s profit model (e.g., high rental turnover). To incentivize on-time returns, Blockbuster introduced high late fees which, before long, accounted for up to 70% of Blockbuster’s revenues (3). Blockbuster’s business shifted from renting movies to collecting late fees! Even after removing late fees in 2005, Blockbuster re-introduced them in 2010 to shore up revenues (4). 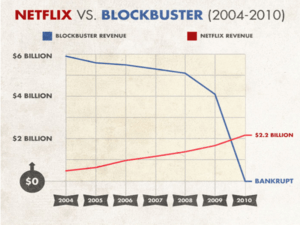 An opaque late fee policy (which resulted in litigation against Blockbuster) and inconvenient customer experience ran counter to the customer value proposition, ultimately leaving a gap that Netflix filled. Netflix could deliver movies at a lower cost (bulk discounts on DVDs as well as centralized distribution hubs) and provide a subscription model that removed complexity surrounding fees, not to mention removing the frictions of returning DVDs to a store. “Appointment-viewing” to “on-demand viewing”: Consumers choose when and where they wanted to watch “TV” content. “One size fits all” to niche: Pioneered by Netflix, the niche mentality led producers to discard the “all things to all people” approach and to create content types to target specific audience segments and fan bases. The result is an explosion of high quality offerings from Game of Thrones to Narcos to FreddieW’s VGHS. Price: Digital platforms became a viable alternative to cable packages, offering the choice and control consumers wanted at a much lower price point. 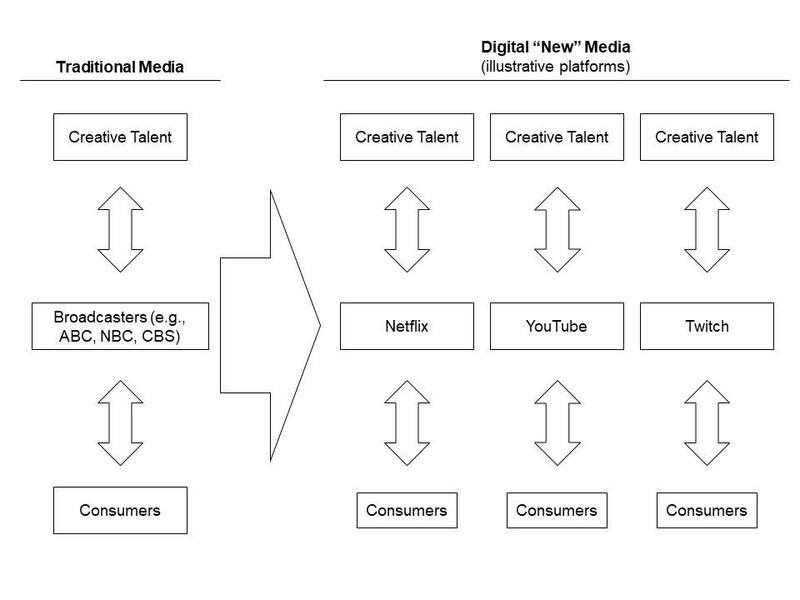 While the drivers and impacts of digital media are numerous and nuanced (e.g., power shifting from licensed aggregators to owners of both creative IP and the platform), I’d argue that the fundamental change lies in market architecture. 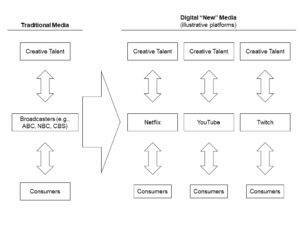 Similar to our case on Nokia, traditional media has struggled to adapt to the market structure of digital “new” media (see below). [Internet]. ; 2015 [updated February 25,; cited January 29, 2018]. Available from: https://www.linkedin.com/pulse/4-lessons-from-blockbuster-failure-david-reiss. A Look Back At Why Blockbuster Really Failed And Why It Didn’t Have To [Internet]. ; 2014 [updated September 5,; cited 1/29/2018]. 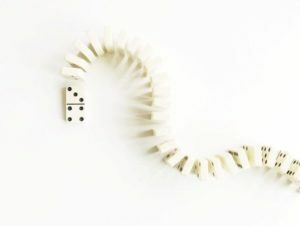 Available from: https://www.forbes.com/sites/gregsatell/2014/09/05/a-look-back-at-why-blockbuster-really-failed-and-why-it-didnt-have-to/#34dca53d1d64. [Internet]. ; 2017 [updated Mar 23,; cited January 29, 2018]. Available from: https://medium.com/@ScAshwin/the-rise-of-netflix-and-the-fall-of-blockbuster-29e5457339b7. Blockbuster Bankruptcy: A Decade of Decline [Internet]. ; 2010 [updated Sept 22,; ]. Available from: https://www.fastcompany.com/1690654/blockbuster-bankruptcy-decade-decline. I loved this post, and Blockbuster will always be one of my favorite cases of a business getting caught with its pants down in the midst of changing industry dynamics. As you mentioned, many factors contributed to the end of Blockbuster; even if high-speed digital streaming had taken more time to roll-out, I wonder how long the business would have prospered. The stores were ridiculously large, with multiple staffers and DVDs laid out like trophies across the shelves. Dozens copies of the same new release movie sometimes took up an entire wall. And then, about fifteen years ago, Redboxes and other express kiosks started to appear inside grocery stores and 7-Elevens—providing much of the same value as a Blockbuster, but with minimal investment requirements, reduced rental costs to customers, and increased convenience. At the same time, new DVD prices were plummeting at retailers like Best Buy. I can’t believe it took Blockbuster so long to realize the forces working against it.